Agatha's former husband James is engaged to be married to a beautiful, young woman and Agatha has been kindly invited to the wedding. To take her mind off this, Agatha decides she has fallen for Sylvan, a Frenchman she met at James' engagement party. To distract her still further she decides upon a holiday and flies to Istanbul, where unfortunately she bumps into James and his fiancée not once but twice - convincing him she is stalking them. 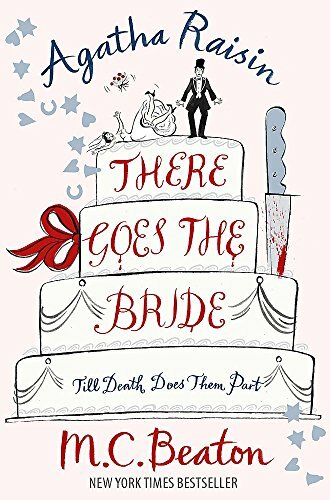 So when the bride is murdered on her wedding day, naturally Agatha is Suspect Number One - but then matters are turned on their head when the dead bride's mother engages Agatha to take on the case of her murdered daughter! And very soon Agatha's own life is in danger while she tries to solve the mystery of the corpse bride while fighting off (halfheartedly) the advances of a very attractive and determined Frenchman!